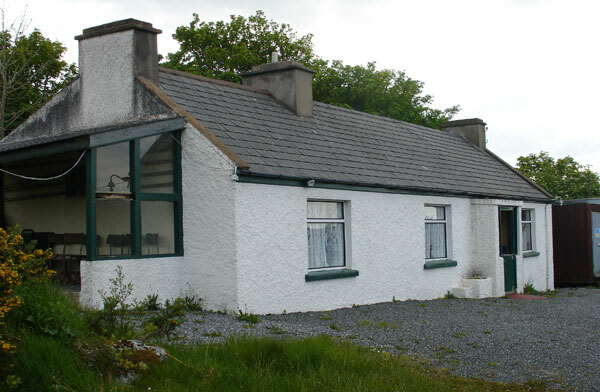 The night of the 11th of January 1939 began as normal for the Ward family in their little cottage in Kerrytown near Dungloe in rural west Donegal. A few neighbours dropped in for a chat and a game of cards. When the visitors left, two of the girls went to the outside toliet before going to bed. While one them was waiting for the other to come out of the toilet, she happened to glance towards the large granite rock face near the house. It was a dark night. She was not expecting to see anything unusual. That, however was not to be the case. 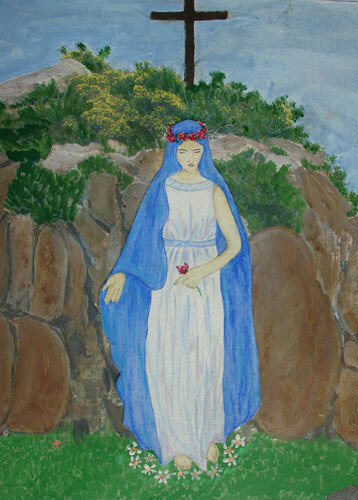 She saw what looked like a statue of a beautiful woman standing on top of the rock. She was radiating a brillant light and looked like Our Lady. The girl called her sister and she saw it as well. The rest of her family and her next-door neighbours came to see what all the fuss was about. Nine people in all saw Our Lady there at that time. The parish priest came "to put an end to the nonsense". 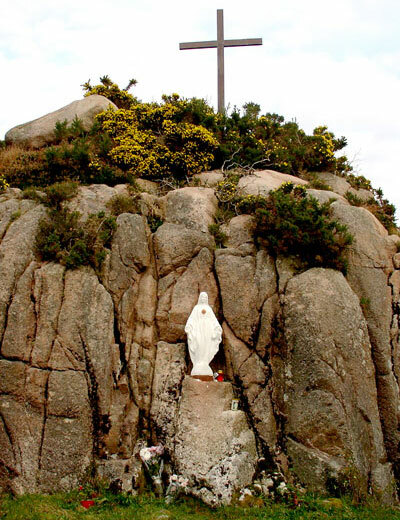 He did not see anything when he came, but just as he was leaving he DID see the apparition on the rock. He later corfirmed this in a written statement. Many other people have given sworen statements about treir experences there since. Like many other places where apparitions have been reported, Kerrytown has not been without its critics, but it has stood the test of time. Many people still come to meditate and pray at "the Rock" as it is known. One of these was Joe Coleman, from Ballyfermot in Dublin. In May 2007 Joe was in Co. Donegal visiting friends in Ardara. 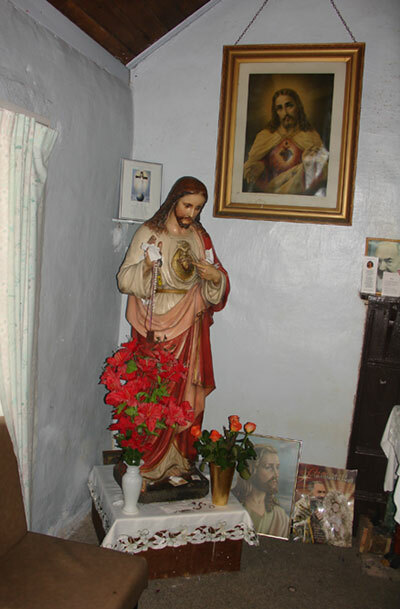 Joe had already earned a reputation as a gifted spiritual healer and medium. 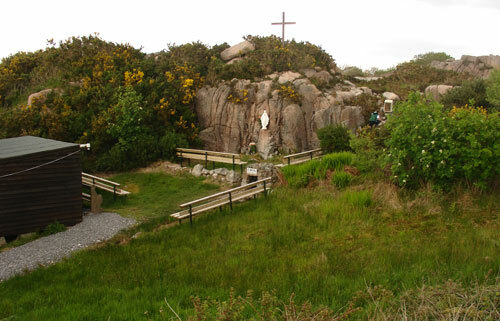 On the way back to Carrickfin airport, his friend took him to the Rock. Joe had never heard of Kerrytown. His friend had told him nothing about it, or why he was taken on a detour. Joe was overwhelmed. As soon as he approached the rock he heard a lovely lady's voice speaking to him. She told him to come back on the 13th September, and she had special message for him. Joe said to his friend when he was leving "i'm coming back here on the 13th of September, should I have to walk it". He did return and this is what he has to say about it. I Joe Coleman came to Donegal with two friends. Collette Lumdsom and Sheila McCarthy on Wednesday 12th September 2007. We took a flight from Dublin to Donegal Airport. 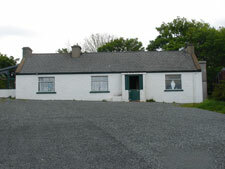 We stayed at Bunbeg. 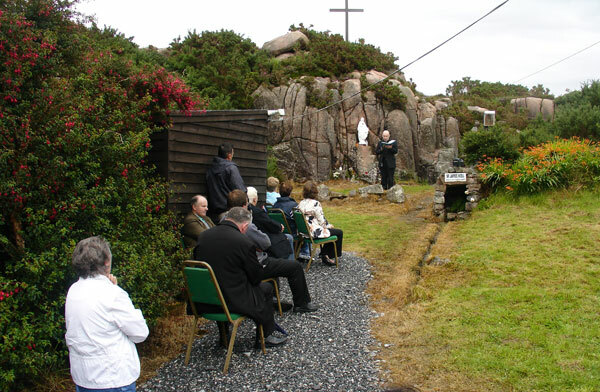 On Thursday 13th September 13th 2007 at 3 o clock afternoon, we were at the Rock in Kerrytown, praying the Rosary. There were about 50 people there, men, women and children. We had got a lift from my pal James Boyle. I stood in front of the statue of Mother Mary. Colette Lumdsum stood on my left side, and Sheila Mc Carthy sat on the rock. Most of the other people were in the shelter, or at the side of it. During the first 10 minutes I noticed the face of Mary change to her Son Jesus, it then changed to Padre Pio, then back to Jesus, and then back to Mary. 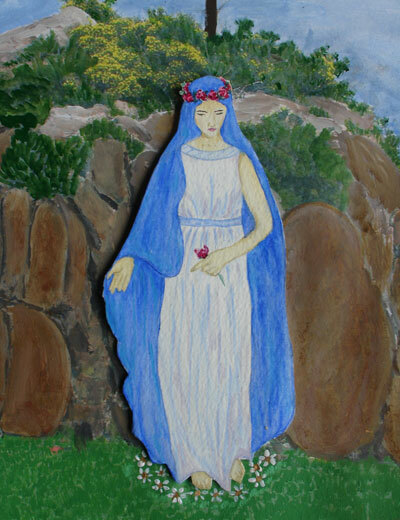 I has seen Mary before some months earlier in the summer. She was very beautiful when she appeared to this time at the rock. She was crying tears of great sadness for the children of Ireland. She asked me to me tell all the people that had come to the rock, that everbody would receive a cure on this day at the rock. I got very emotional. and the tears started to flow down my face. It was a feeling of great love, great joy, unconditional love came from Mary as she shone her beautiful light out among the crowd, she was crying she said she was very sad that our young people are not saying the rosary. She wants all our people to pray and go back to her beloved son Jesus and come to him at mass. She said that there are great changes coming to the earth and we must pray and ask for guidance and help on our earthly journey. I asked Mary what prayers must we pray. She said Pray "OUR FATHER, HAIL MARY, O ANGEL OF GOD." You must pray every day. Pray to Padre Pio. 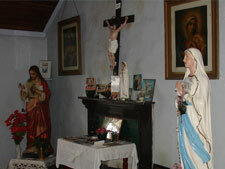 He will help you with your prayers" She said she is the mother of Jesus and she loves all of us very much. She told me I am very special to her, and that she hears my prayers every day. Mother Mary looked very young and pretty, about 35 years. She had a crown of roses on her head. She wore a white gown-dress no sleeves. She was barefoot, flowers on her feet were golden daisies. She will come back again. She will tell me when. I had a beautiful day at the rock. I talk with Mary every day. Call Mary into your life now. Joe has lived all his life in Balllyfermot. Since he was a child, he has been able to see spirits. He did not pay much attention to them for years. He had an accident at work. On the 1st of January 1986, while in hospital he had a near death experience, when his heart stopped momentarily. When he came to, he was able to communicate with the spirits. He was able to sense things in the present, past and future, that he had no way of knowing anything about. His family were surprised and amazed, and none more so than Joe himself. His friends encouraged him to use gift to help people with problems. While he was a bit reluctant at first, but soon accepted that he should go public with his work. Early on, he began to help find missing people. Although his information in these cases has not always been acted upon. it has never been proved to be in any way inaccerate. In order to develop his "gift" he studied spiritual healing, clairvoyance and animal communications. He learned to work through the Holy Spirit. In 2004, he set up a clinic in Ballyfermot, near the old Gala cinema, where people can come for spiritual healing, or readings. People from all religions, (and none) are welcome at Joe's clinic. Few fail to be impressed with how acturately he can tell them about their lives. He also teaches classes, in spititual awareness, and meditation. Joe feels people need to become more openminded in order to accept and benefit from the help of the Holy Spirit, the Angels and the Saints. New D.V.D. 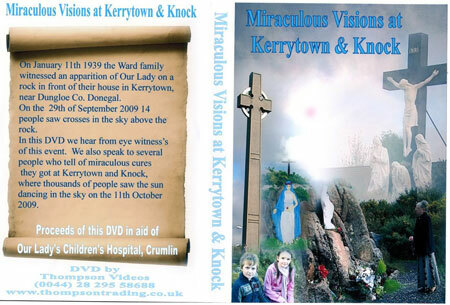 "MIRACULOUS VISIONS at Kerrytown and Knock." 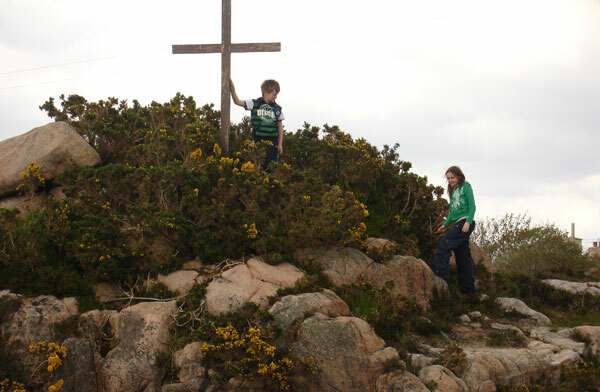 I came to the rock in with my Mum and Dad and my sister in the end of September 2007. 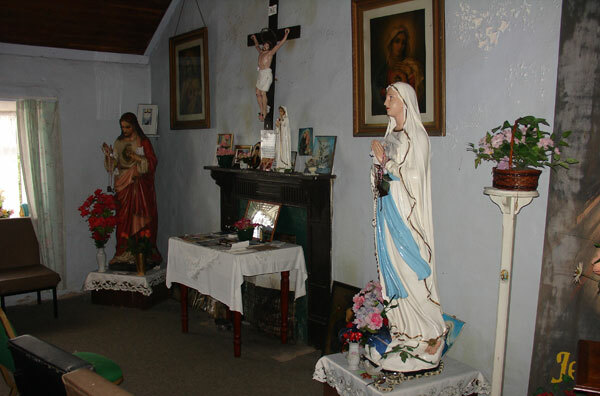 Dad had told me this was where Our Lady had appeared a long tine ago, and that was why people come to pray here. We sat in the shelter. I was looking at the statue on the rock. when the face of the stateu changed, and became a mans face with a beard. I then went up to the statue to get a closer look. I saw the face of the statue change to a different angle I was amased. I went to the statue I put my hand on the statue, I heard a mans voice, sort of in my head saiying "do you kow I am ?" I said "no". He said "guess." I said " I dont know" then he told me that his name was "Padre Peo". I had never heard of him. Then the face changed back again. I told dad what I saw . Then we went into the cottage . I showed Dad a picture that was onthe wall above the door, I told him that was the same face that I had just seen in the statue at the Rock. 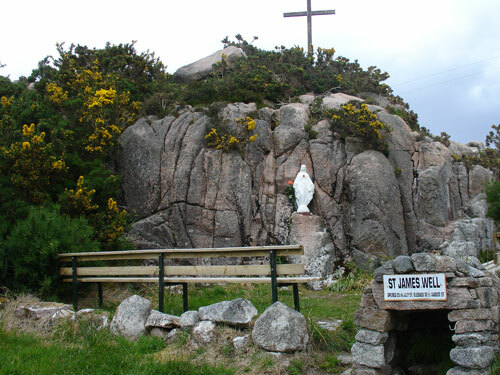 When we came out of the cottage and looked over at the rock I saw angels in the sky above the cross on top of the rock. My sister saw them as well. They were sort of flying in a semi-circle around the cross. I will never forget that day at the Rock.